On a cold winter morning last year, when my train was slowly rolling into the station of Csíkszereda (Romanian: Miercurea Ciuc) I had no idea that soon I was going to hear a truly amazing story about faith, endurance, and Szekler stratagem. The story of a man who built a church in the darkest times of dictatorship when it was completely forbidden. 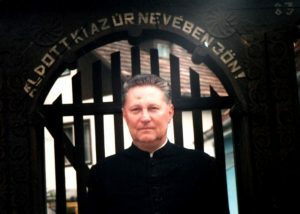 In the ‘70’s and ‘80’s Romanian Communist dictator, Nicolae Ceaușescu prohibited the building of anyHungarian church (Roman Catholic, Protestant, Unitarian) in Transylvania. 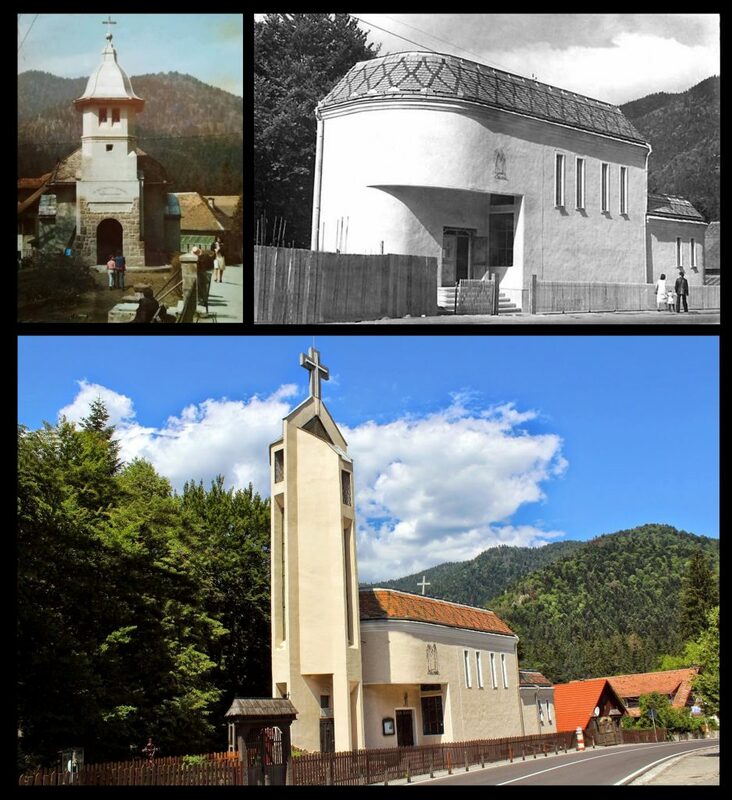 But in 1980 a young and energetic vicar was transeferred to Tusnádfürdő and he quickly realized that the town’s Catholic chapel was too small as it only could fit some 60 worshippers. So despite the ban he decided to build a bigger church for his congregation. But with the ban in place, he had to resort to some trickery. The first one was that he didn’t apply for a construction permit – instead he only asked for a permission to renovatethe small chapel (which was built in 1929 and was damaged in an earthquake few years earlier in 1974). But instead of renovating he quickly demolished it to the ground before anybody could stop him. Incze knew, however, that the powers that be didn’t favor the Catholic Church in general, but Tusnádfürdő was both a popular destination for foreign tourists and the town couldn’t be left without a place where Catholics could pray. This was his first trick. Now he needed a second one in order to get the construction permit for the new building from Bucharest. Orthodox priests (unlike Catholics) must have a civilian occupation too and incidentally the Romanian priest in town, serving in the Orthodox Church just across the road, had an architect’s degree. The two priests had a good relationship, so Incze asked him to draw the architectural plans of the new church which then he attached to the authorization request sent to the capital. Left to right, clockwise: the old chapel (built in 1929); the new church in the late 80s without tower; the finished church nowadays. By doing so, the clerk in Bucharest who was in charge to authorize the application only saw that a Romanian priest applied to build a new church. He had no idea it would be a Catholic church instead of an Orthodox one, so he gave the permission. The construction began in 1982, but then another problem occurred. Next autumn Ceaușescu came to his villa in Tusnádfürdő for some bear hunting, and when the dictator was walking down the main street with his entourage, he saw the construction and asked what building was it going to be. When they told him the truth he was outraged and yelled orders to have it demolished. Fortunately nobody obeyed him and the semi-built church was left in place. The church tower, however, couldn’t be built until the political changes seven years later. The life of the young vicar also got harder. His office, his bedroom and even the confessional were bugged and authorities followed his every move. During these years Father Dénes didn’t even dare to go out to the streets after dark, because numerous priests ended up in the Danube Delta or got hit “accidentally” by a car. An arrest warrant was eventually issued against him in 1989, but it was too late as “the angels took it away with the political changes”, as Incze himself described it later. After the church tower was also completed in 1990, Incze found a new mission. Following his “church-building” he started his “soul-building” by publishing and editing the “Jesus’ Light” magazine, helping local people revive their religious knowledge after the Communist area. 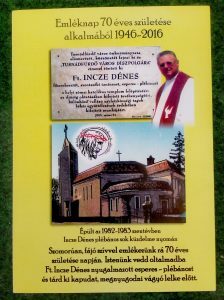 In 2006, Incze was named “Honorary Citizen of Tusnádfürdő”and remained the vicar of the town until 2010, when he retired due to his failing. Although he passed away in August 2015 at age of 69, his legacy lives on among Szeklers. …and after the long hours of storytelling before she got off the train at Püspökladány aunt Tereza gave me a farewell gift as well. It was a card issued for the Memorial Day organized by her a few months earlier for the 70th anniversary of his brother’s birth.